You won’t believe the secret ingredient that makes a perfect pie crust. It’s not frozen butter or special flour. 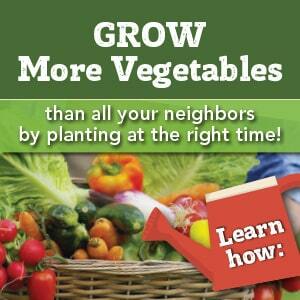 You’ll be shocked–don’t tell Grandma! 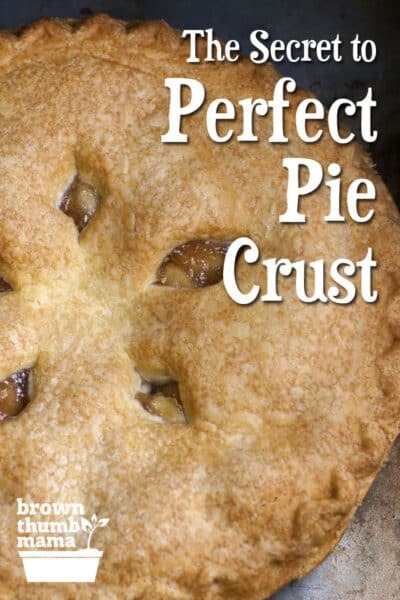 What’s the secret to perfect pie crust? That tender, flaky taste that melts in your mouth? You’re never going to believe this. 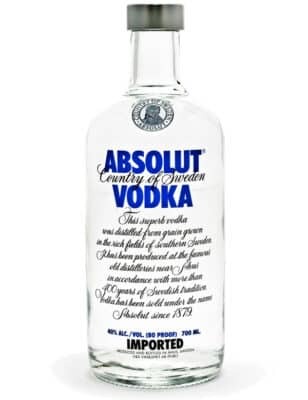 Yep, the very same vodka we used to make Homemade Vanilla Extract is the secret ingredient for perfect pie crust. Vodka has no flavor, evaporates quickly, and prevents gluten from forming–so you end up with a tender, flaky crust. And how cool would it be to bring a homemade pie to your next family gathering? Pretty amazing, I’d say. Let’s go! 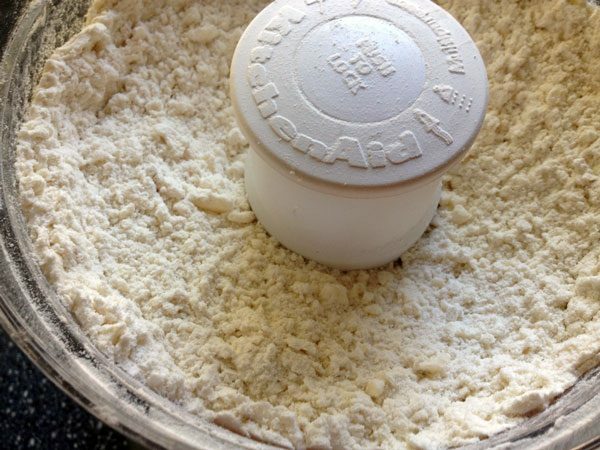 Put the flour and salt in your food processor. 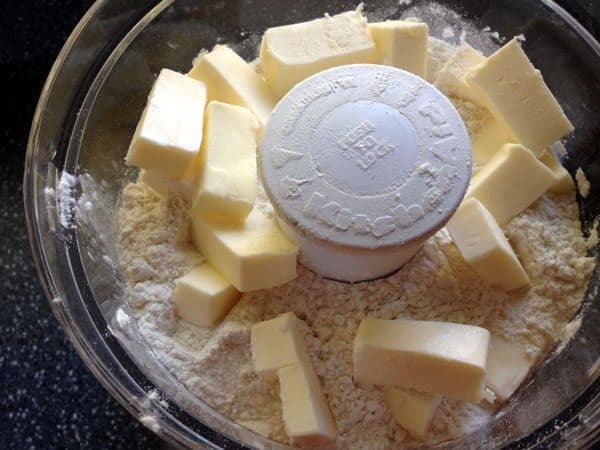 Cut the butter into chunks and put it on top. 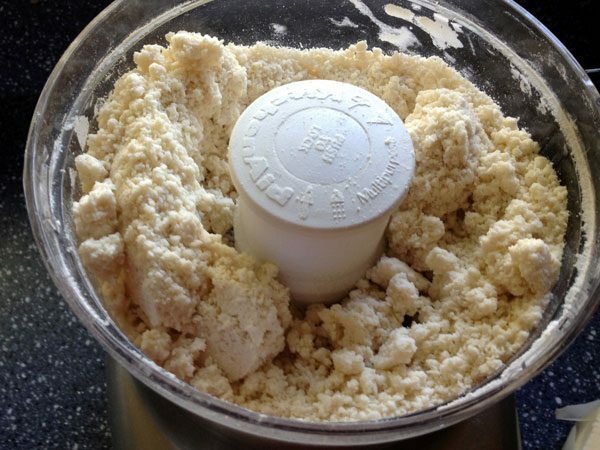 Pulse it together until the butter is incorporated and looks like little pebbles in the flour. Add the water and the vodka, then mix in short bursts. It will look like a crumbly mess and then will magically hold together. 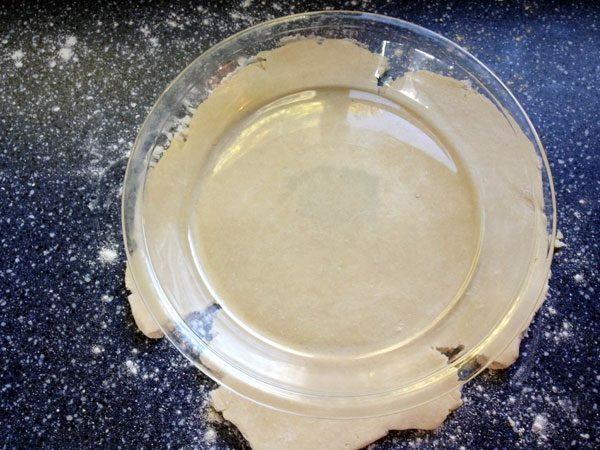 Dump the dough onto the counter, form it into a disk, and wrap in plastic wrap. Place in the fridge to chill for about 30 minutes. This will allow the butter (which has probably softened through all that mixing) to firm up again. After 30 minutes, sprinkle a little flour on the counter, unwrap the disk and start rollin’. Don’t worry about making a perfect circle, just roll it out as best as you can. Every now and then, set your pie plate on top to see if the crust will fit. I called this “good enough,” smooshed the cracks together, and prepared to Make The Transfer. Transferring the dough to the pie plate is usually the toughest part. I’ve had the best luck with rolling the dough onto my rolling pin and unrolling it over the pie plate. 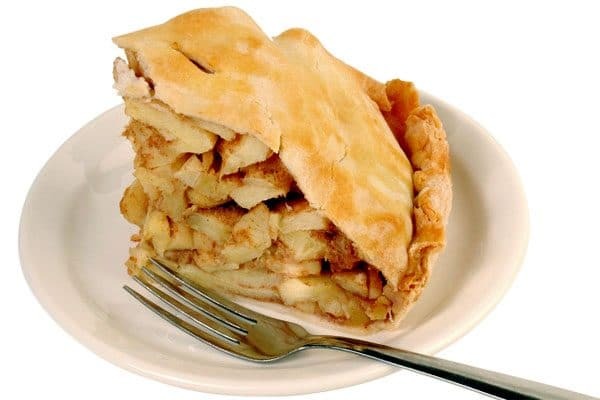 Add the pie fixings of your choice and bake according to that recipe. You could even freeze the crust, unbaked, if you won’t need the pan for a bit–just don’t put a frozen glass pan into a hot oven. Yipes! But do me a favor, OK? Don’t tell Grandma I put vodka in my pie crust or I’ll get a lecture about eternal damnation. After 30 minutes, sprinkle a little flour on the counter, unwrap the disk and start rollin'. Don't worry about making a perfect circle, just roll it out as best as you can. Every now and then, set your pie plate on top to see if the crust will fit. 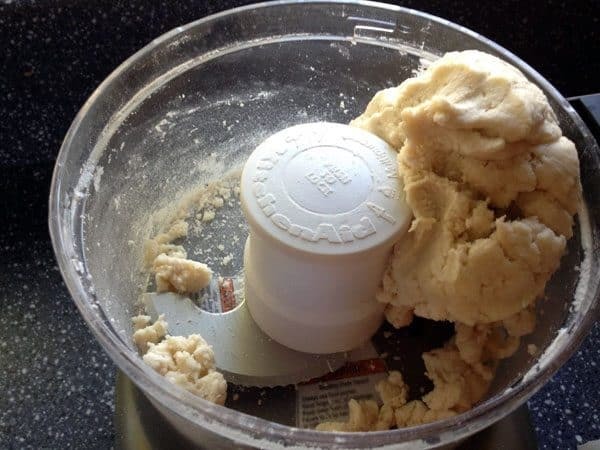 Transferring the dough to the pan is usually the toughest part. 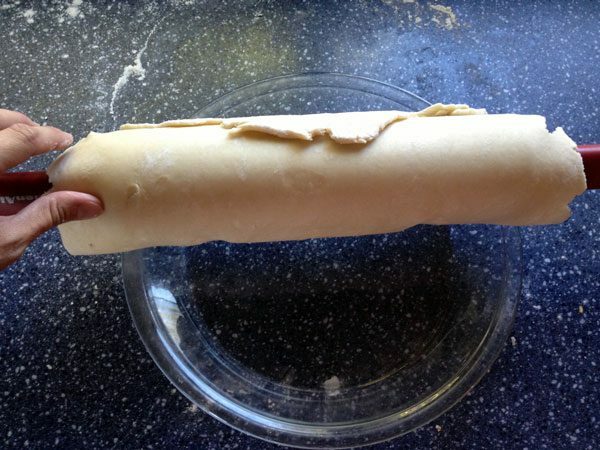 I've had the best luck with rolling the dough onto my rolling pin and unrolling it over the pan. Press the dough gently into the pan. You can either make scalloped edges with the crust, or just cut the excess off like I did. 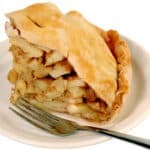 Add the pie fixings of your choice and bake according to that recipe. You could even freeze the crust, unbaked, if you won't need the pan for a bit--just don't put a frozen glass pan into a hot oven. Yipes! Do you like making things instead of buying them? You’ll love my weekly newsletter. How does the vodka keep gluten from forming? 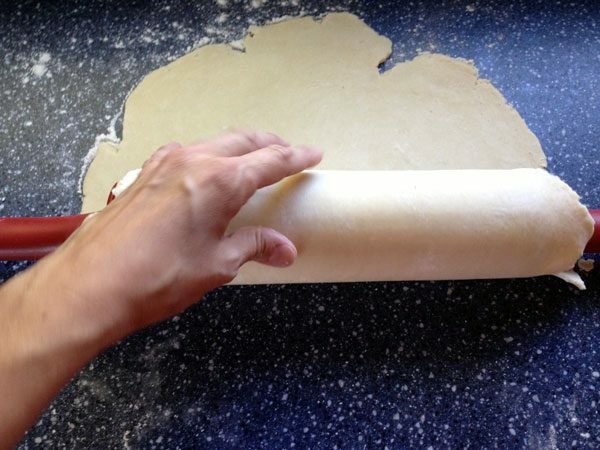 Try rolling out the dough on wax paper. Once it’s rolled out — just flip it over and it peels right off. I’ll have to try the Vodka though! I’m excited to try this! I don’t bake very much but I have been making quiche and pot pies recently using FROZEN crusts (god help me). I needed to see this article to get that boost just make it myself! Thank you! 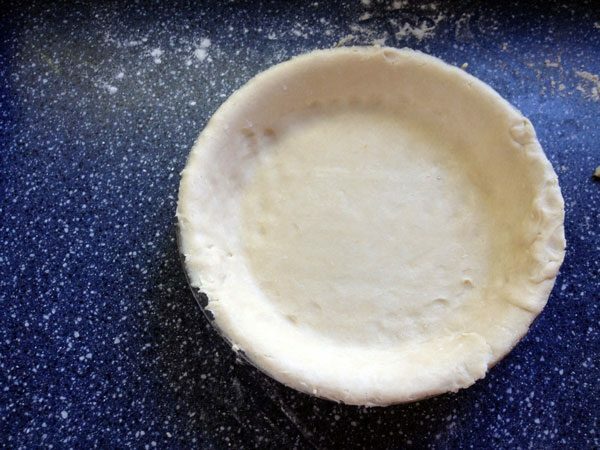 I can’t believe it…finally a pie crust that rolls out without sticking to everything and cooks up amazingly! I LOVE IT! Thank you!! My only goal this baking season was to find a pie crust that I could make and this is it!! I’ve only been trying for 20 years!! Now to find a good biscuit recipe lol…. Lol!!! Same with my grandma, alcohol equals hellfire 🙂 going to make this today!!! Curious (and excited at the same time to give this a whirl), but what does the VODKA add to the crust? How much of it do you taste (if at all?). Does it give the crust a little ‘feel good’ kick? or is it barely noticeable? Can’t wait to try! Been scouring the Web looking for ‘alcohol-infused’ recipes…. How much sugar should I add if I want a slightly sweet crust? Pie dough is tricky! Good luck–let me know how it turns out! Soooo, this makes only one pie crust and you’d have to make another one for a 2-crust pie? It makes two crusts, but I have a terrible time rolling them thin enough. So for the example, I only made one crust.